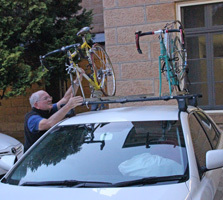 After over forty years, on and off, living in Marist communitieis in Sydney, Br Charlie Randle SM, left for his native Brisbane at first light on Apr 29, his signature roof-top bicycles safely fixed for the journey. 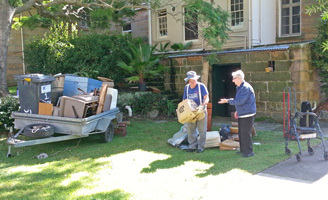 Recent weeks have seen Br Charlie busy with clearing the decks at Villa Maria monastery, Hunters Hill, including a massive clean-up of the monastery's historic cellar. 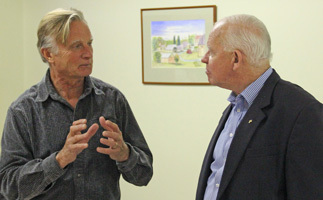 Present at its meeting this week was journalist, author and film-maker, Jeff McMullen, who will chair the Aug 29 event. 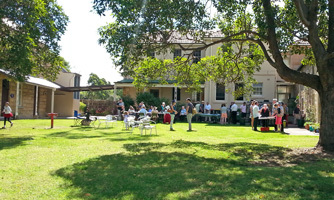 The conference will be held at Santa Sabina, Strathfield, NSW. 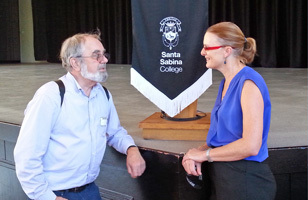 Pictured below is JPICC coordinator, Fr Jim Carty, and Santa Sabina's Director of Community Relations, Margaret Molloy. 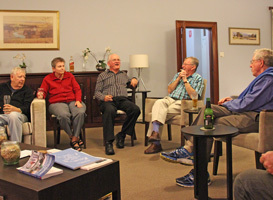 After celebrating 50 years of Marist life in 2014, Kiwi Marists, Frs John Craddock, Kevin Stewart and Mike McVerry gather each year to recall their novitiate and seminary times together.They are pictured, left, at the Marist Mission Centre, Hunters Hill on Apr 27. 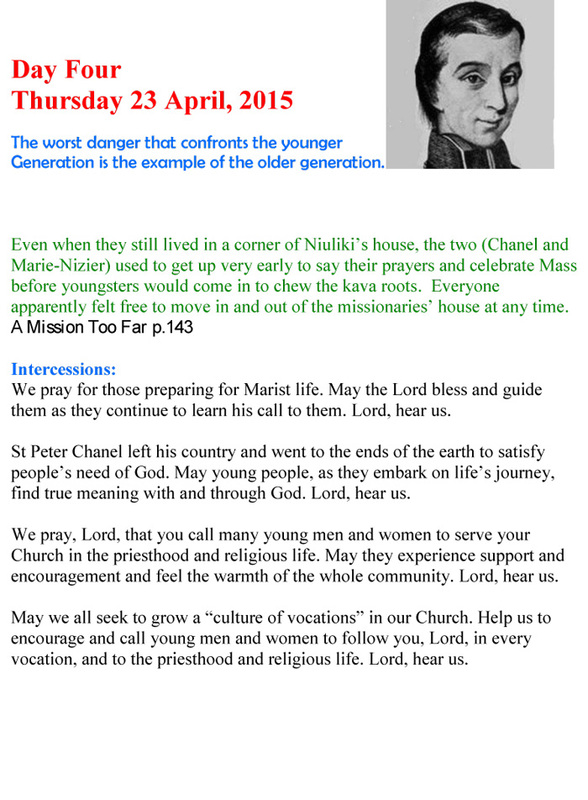 This year saw them gather at the Marist holiday house, Currumbin, Qld, and this week in Sydney, where Fr Mike preached a weekend Mission Centre appeal at St Patrick's. 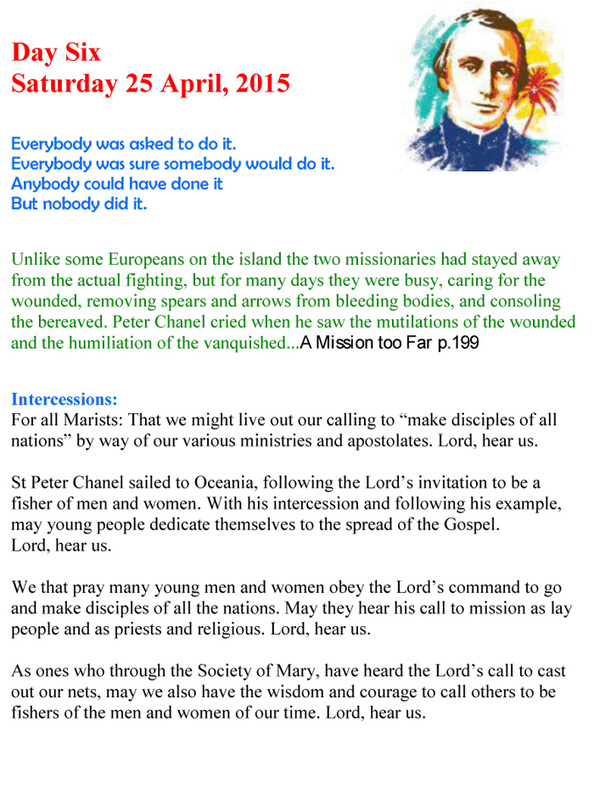 A fourth member of their profession band, Fr Barry Malone, is a missionary in Brazil. Enjoy your catch-up, Fathers! 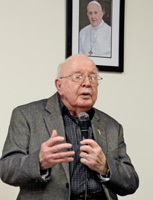 Marist across the world mourn the passing of former Superior-General, Fr Roger Dumortier SM, who died in Paris on Apr 26, aged 86. 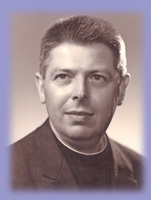 Fr Roger was the eighth Superior-General of the Society of Mary and held office from Dec 08, 1969 to Sep 18, 1977, when he was succeeded by Fr Bernard Ryan who died recently in Sydney. 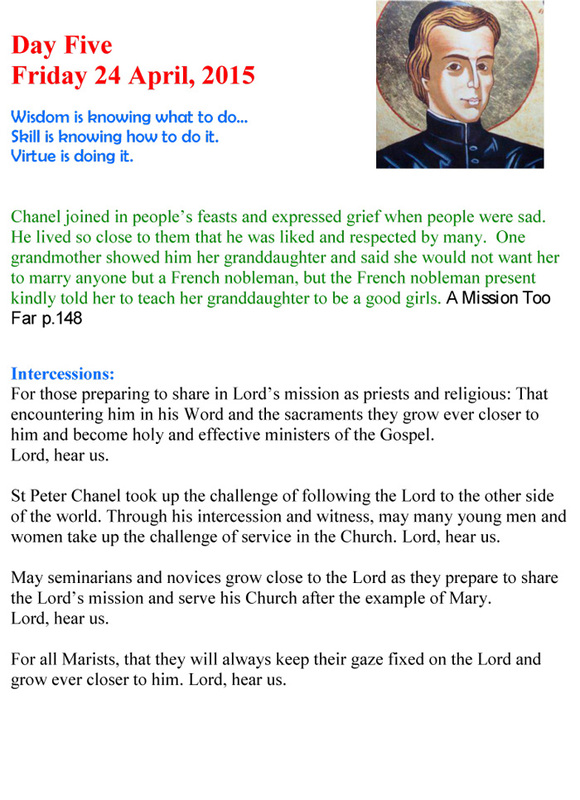 Follow the novena to St Peter Chanel daily from Apr 20 to 28 (courtesy of the NZ Marist province). 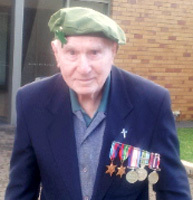 World War II veteran and senior Marist, Brother Colin Campbell SM, set off from his Montbel, Hunters Hill, home on the morning of Anzac Day to march with an Irish contingent in the city parade. 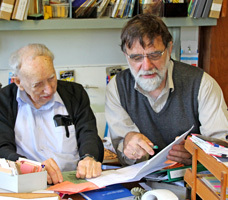 Br Colin, oldest member of the Australian Province of the Society of Mary, turns 93 on Apr 27. 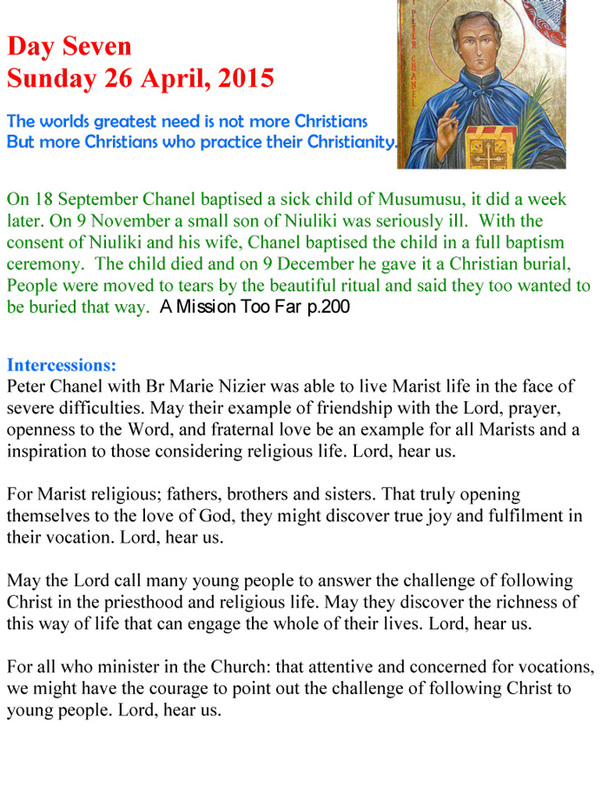 SM Bulletin from the Marist General Administration in Rome announces a new web site in preparation for the 'Fourvière Year', www.maristinter.org. 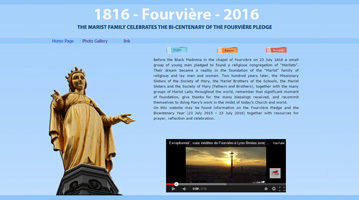 It is an initiative of the combined Marist Family committee planning for the bicentenary of the pledge to form the Society of Mary made by young Marist aspirants in Lyons, France, in July 1816. 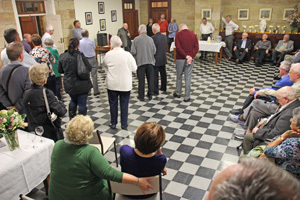 From Rome, the Secretary-General of the Marist Fathers has advised Australian Marists that the provincial, Fr Bob Barber SM, has achieved two-thirds of the first preferences in the consultation for election or re-election for the office of provincial. Accordingly, the Superior General, Fr John Hannan, has confirmed Fr Bob in the office of provincial for a further three years as from Jan 01, 2016..
Fr Hannan and his Council have conveyed their congratulations and fraternal support. 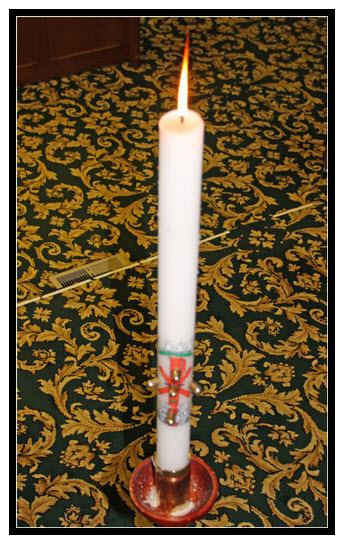 Shortly after the annoucement, Fr Bob confirmed that his vicar, Fr Peter McMurrich, was re-appointed for the same period. Congratulations, Frs Bob & Peter! Australian Sr Vivienne Goldstein SM is one of three Marist Sisters elected on Apr 21 to their international leadership team. 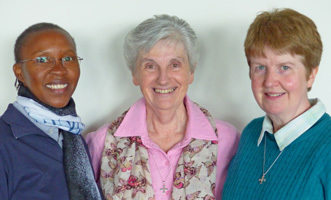 With Srs Anne McCabe (UK) and Sylvette Mané (Senegal), Sr Viv will support newly-elected Superior-General, fellow-Australian, Sr Grace Ellul. 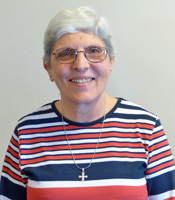 At their General Chapter in Nemi, Italy, the Marist Sisters have elected Sr Grace Ellul as their new Superior-General. Born in Egypt of Maltese parents, Grace and her family migrated to Melbourne where she joined the Marist Sisters. 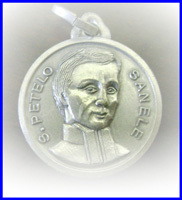 'It is with great joy that Sr Jane Frances O’Carroll, current Superior General, announces that Sr Grace Ellul has been elected as our 14th Superior General. 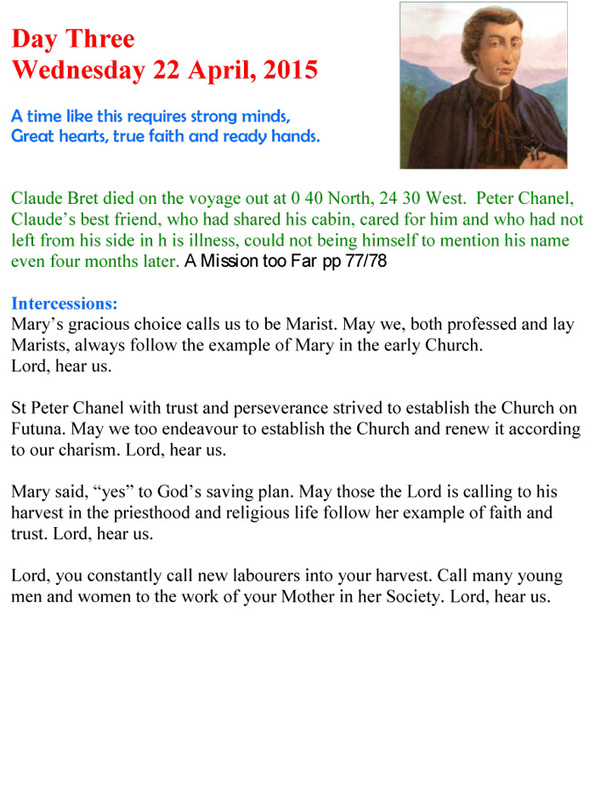 'Let us hold Grace in prayer over these days and assure her of our loving support as she prepares to take up her role.' Congratulations, Sister Grace! Sister Grace Ellul is no stranger to ethnic diveristy having spent long years in the Sisters' mission in Brazil and with multi-cultural groups in Australia. 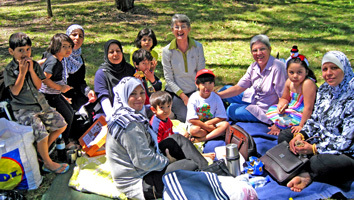 She is pictured below (third from right, and near fellow Marist and former leader, Sr Gail Renneker) with migrant families of Sydney's outer west during her ministry with the 'House of Welcome' / Sr Grace is a member of the combined Marist 'Justice, Peace and Integrity of Creation' group (second from right). 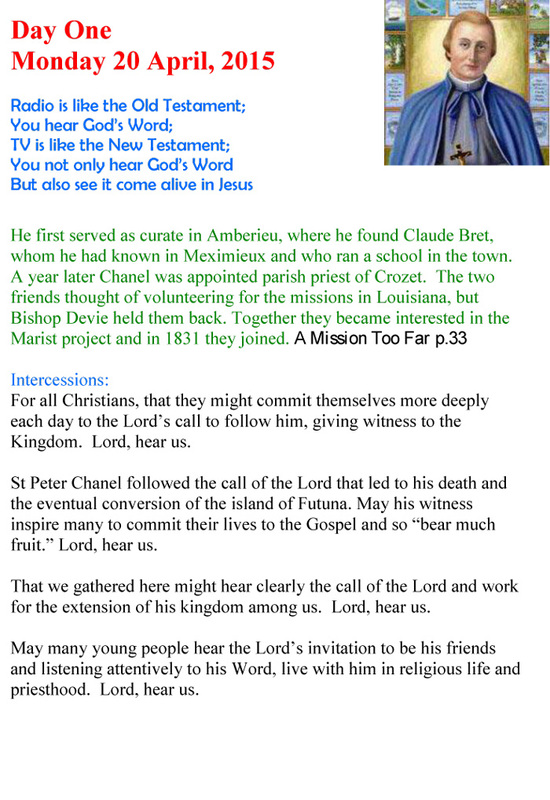 After a rolling series of farewells in the Hunters Hill area Brother Charles ('Charlie') Randle SM will return soon to his native Queensland after having spent much of his fifty years of religious life in Sydney communities. 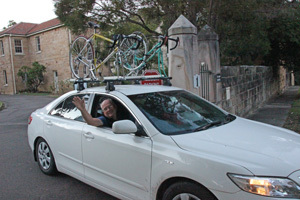 Members of Br Charlie's family came from Brisbane and regional NSW to be part of the farewells. They will soon see more of him from his new base at Herston, Brisbane. 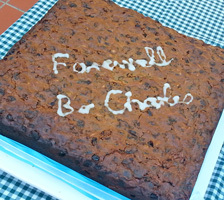 Farewell, Br Charlie, we will miss you! 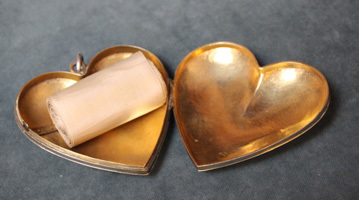 instruments of Mercy', to be used for personal or community reflection during the annual Novena for Vocations through the intercession of St Peter Chanel. 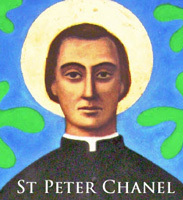 The novena, beginning this year on Mon, Apr 20, traditionally precedes the feast of St Peter Chanel on Apr 28. The Apr 17 launch was led by Fr Martin Maunsell, parish priest of St Kevin's Eastwood, who highlighted Fr Thornhill's insights into scripture, liturgy and the mind of Pope Francis. 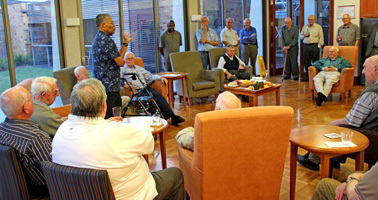 On Apr 16 Marists from all over Sydney gathered at Montbel, Hunters Hill, to farewell Fijian Marist, Br Mikaele Cilicewa SM, who leaves Australia after twelve years' ministry amongst indigenous peoples in the Northern Rivers districts of NSW. 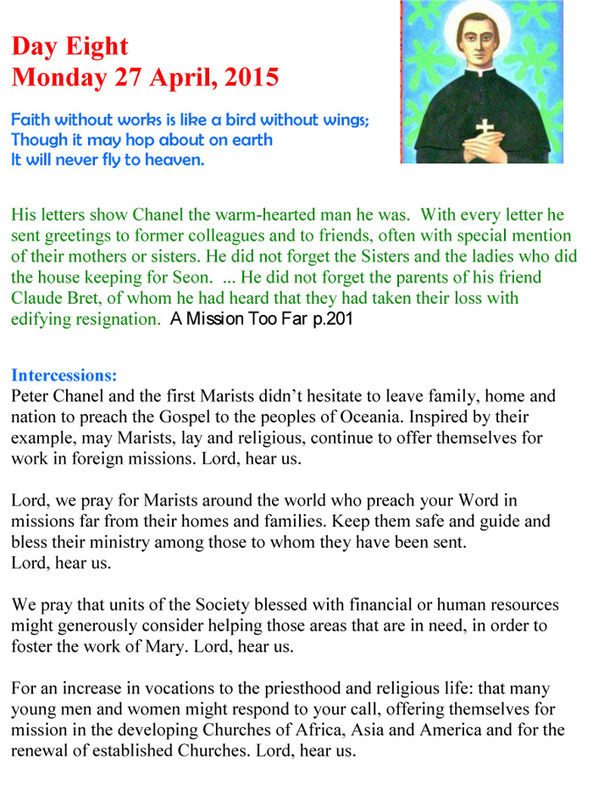 From the Oceania Marist Province, Br Mika joined the Macksville community of Marists in 2003 where he worked alongside the late Fr Bernard Ryan and Australian Marists in their ministry. 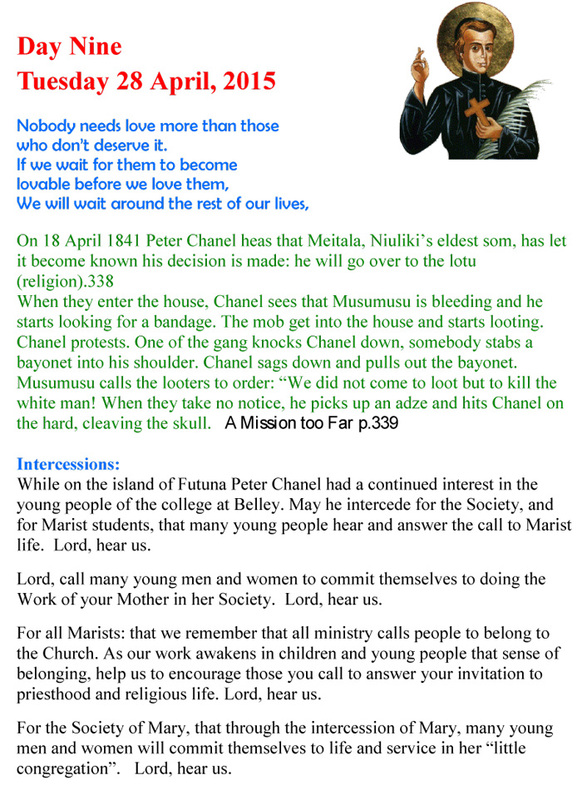 Leaving Sydney for Fiiji on Apr 17, Br Mika takes up residence at the Marist Fiji Regional House, Laucala Bay, Suva. His gentle, generous presence in the Australian province will be much missed. 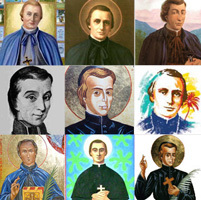 Farewell, Br Mika. 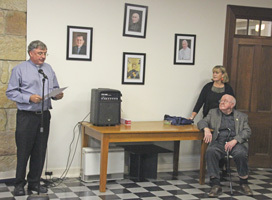 Above: Br Mika surrounded by local Marists at his 'Montbel' farewell / Montbel superior, Fr Paul Mahony, thanks Br Mika. 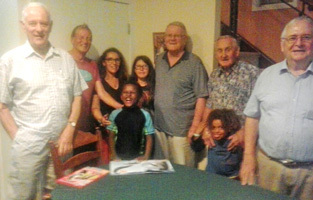 Below: Br Mika with indigenous friends and co-workers at Macksville. 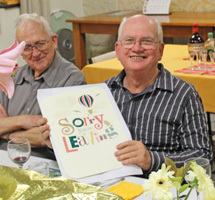 In house-warming and -blessing cermonies on Apr 11, the newest community of the Marist Fathers in Australia - a house of welcome for Marists and interested aspirants - has been established in Rosalie, Brisbane, Qld. 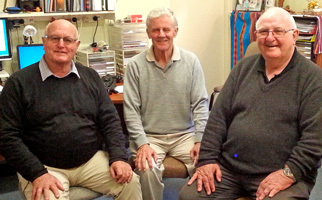 The pioneer community comprises Frs Gerard Hall and Chris Ketsore and Hayden Kennedy. 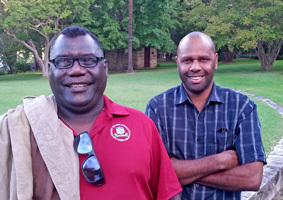 From ANU's Research College of Pacific & Asian Studies Anthony Regan paid a visit to Fr Kevin Kerley SM over the weekend of Apr 11-12, gleaning material for new research on the Bougainville conflict. Armed with a box of his popular books, Marist author and spiritual writer, Fr Paul Glynn SM, left for New Zealand on Apr 10 for this year's Eucharistic Convention to be held in Auckland over the Divine Mercy weekend..
Fr Paul will preside and preach at one of the convention Masses, emphasising the relevance of Pope St John-Paul II's teaching and support of Divine Mercy seer, St Faustina, and the need for deeper prayer and devotion in today's world. 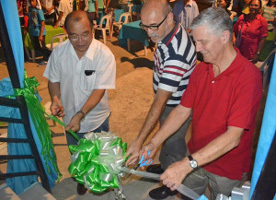 Director of Australia's Marist Mission Centre, Fr Kevin Stewart SM, was present at the opening and blessing of the latest Marist initiative for street kids in Davao, southern Philippines. Fr John Thornhill's book, 'On the way with Pope Francis: Our destination - a renewed church', will be launched on Apr 17, at Villa Maria monastery, 1 Mary St, Hunters Hill, Sydney, 6.30 to 7.30 pm. 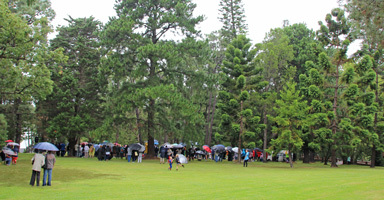 Damp weather did not deter several hundred followers of the Hunters Hill inter-church Way of the Cross on Good Friday, Apr 03. 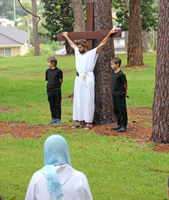 Beginning at St Mark's Anglican church, the procession wended its way through the streets of Hunters Hill, culimnating with the Crufixion and Burial scenes in the grounds of Villa Maria monastery. 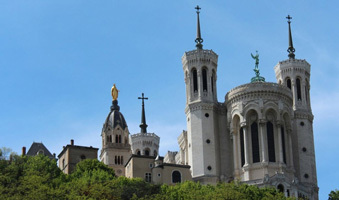 Marist author, Fr Gerald Arbuckle, has just published a book on personal and institutional aging, 'The Francis Factor and the People of God: New Life for the Church'. 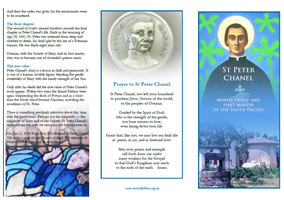 Described as 'a timely book not just for individuals, but also for many Catholic institutions facing diminishment, or seeking rebirth and renewal', the book is published by Maryknoll, NY, Orbis Books. 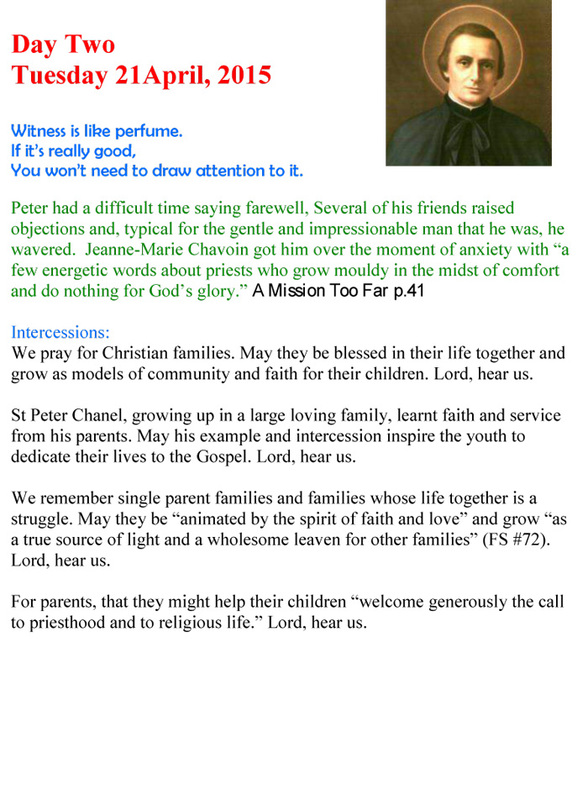 Director of Sydney's Aquinas Academy, Fr Michael Whelan SM, has been appointed by Archbishop Anthony Fisher as parish priest of St Patrick's, Church Hill, as of Jan 01, 2016. Fr Michael will continue heading the Aquinas Academy which will continue to offer a range of course including within the city centre. 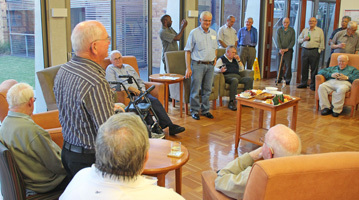 The Marist community of Herston, Qld, recently entertained South African guests. The Mayers, a German family from Pretoria, are travelling around Australia in a campervan, pausing for dinner with the Herston Marists. 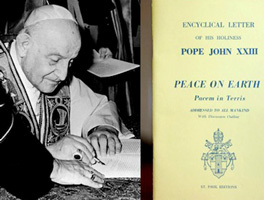 This month's anniversaries include Pope John XXIII's 'Pacem in Terris' ("Peace of Earth') (1963) and the martyrdom of St Peter Chanel (1841). 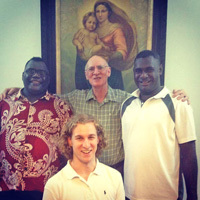 Bougainvillean Marist, Fr Justin Ratsi SM, is in Australia briefly between two very different ministries. Having recently overseen the closure of Marist College, Bomana, PNG, Fr Justin is now preparing for the Oceania Marist province's new parish venture in Port Moresby. He remarks, 'Revisiting our Oceania origins at Villa Maria has been an especially important part of my visit'. 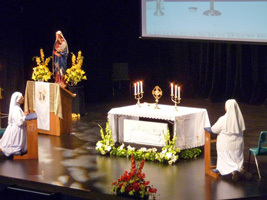 In Sydney and Brisbane he is taking the opportunity to acquire new resources for the pastoral work he will soon be doing. 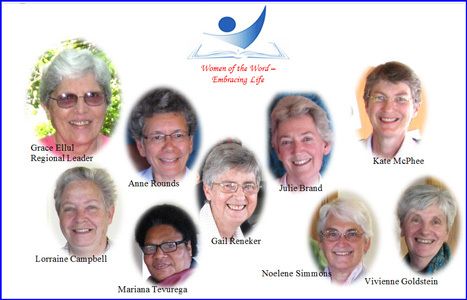 'Women of the Word - embracing life' is the theme of the forthcoming General Chapter of the Marist Sisters. Six Australians are amongst the Asia-Pacific delegates attending the Chapter at Nemi, Italy, Apr 08-29. 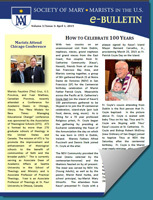 For news of the Chapter proceedings go to the dedicated web site: click here. For the number lovers: visits to this web site continue to climb, with a record 734,000 'hits' during the month of March. 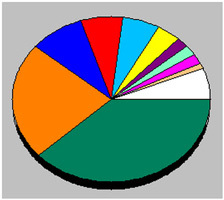 Daily visits averaged 812, peaking at 1427 on Mar 11. 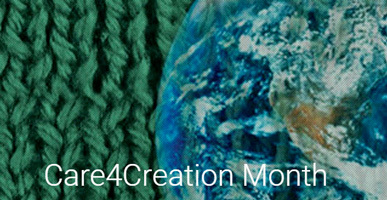 Throughout the month 109 countries were recorded as having visited the site, Australia accounting for ca 40% of the visits.